If you want to actually sleep when you bed down for the night on those long camping trips, you're out of luck most of the time if you're a side sleeper. Not anymore though! If you're sleeping on your side in a regular cot with no padding...that's a tall order! The name of the game for side sleepers when it comes to sleeping on a cot is to get sufficient padding for your shoulder and hips. There are hundreds of other pressure points between your feet and shoulders, but in our experience, the shoulder and hip pressure points are most important. Side sleeping may be great when your camping as a couple in a big cot, but on your own, things get rough. Padding that allows you to distribute your weight, and not just slam your shoulder and hip into a concave surface.​ Also the wider your sleeping surface, as long as it's taught, makes for an easier time when you sleep. 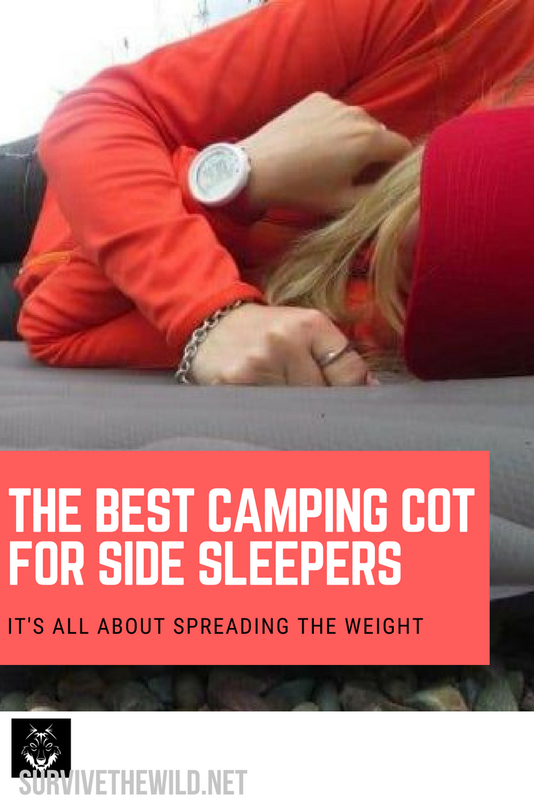 We just went over the importance of padding on your camping cot, so when looking at materials, you need to focus on something that will be breathable and not trap heat and moisture under you. because the last thing you want is to sweat on a rough surface when your shoulder and hip is grinding into a surface all night. When in the year you go camping determines a lot of this choice in material as well. If you're going in the summer, and your cot's materials are heavily insulated with minimal breathability, you need to get something else. You can assume that the inverse is true as well. If it's winter, you don't want a fishnet material to sleep on. This should be a resounding yes if you actually want to sleep when you go camping, even if you're just truck camping. Let's not beat a dead horse just to fill space here. Like we discussed earlier, comfort when sleeping on your side comes from decreasing pressure on connection points to the surface your sleeping on. Padding disperses the pressure over a wider space, so you have less pinpointed pressure on your joints. Padding is good, use padding. Let's start with the most basic option first, the Teton XXL Camping Cot. Everything we've talked about in this section explains why this cot is ideal for a side sleeper. A wider surface means less concentrated direct pressure on your joints. So the only troubling thing about this option is that you'll have to discover within yourself if you're someone who sleeps in the middle or on the edge of the bed. Personally I've been accustomed to sleeping on the edge of the bed on my side, so that is one issue that I have as a side sleeper with the Teton XXL model.​ Click here for more information. If you're wanting to go camping with a minimal budget, but still want to get some relief through sleep, the Coleman Comfort Soft Cot is your ticket to dream land! 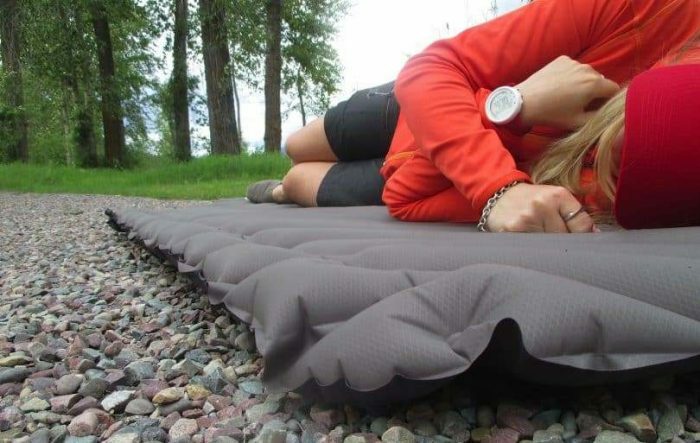 This will be the most cumbersome option as far as packing in to a camping location, but you'll get the most support for side sleeping without a doubt.